A positive brand image is essential as more than 90% of all purchase decisions taken by mainstream customers these days are based on brand image and nothing else. A brand is usually taken to mean a product or even an individual that is well recognized, consistent and scalable, both in the literal and intangible context. Any brand brings up a plethora of images in the minds of customers or target audiences. Brand building is thus a natural activity for organizations and companies. Companies have to develop a positive brand image in order to reap the benefits, financial and otherwise. Brand image is formed in the minds of customers, depending on their experience and the right sense of interaction of the customers with the brand. It is defined to be as the perception of customers about a particular brand. When we talk about interactions, it can take place in different ways and not just with buying or using a certain product or service. For a positive brand image, the product range and its services that are associated with any particular organization will need to be a perfect fit. Along with being a perfect fit, you also need to keep in mind about brand advertising and packaging along with customer service. Consistency as well as reliability need to be hand in hand with the organization and needs to be projected in the right manner to the desired clientele or target audience. A positive brand image is essential as more than 90% of all purchase decisions taken by mainstream customers these days are based on brand image and nothing else. It is not just about acquiring any particular product or service but also accessing a brand’s reputation, prestige, perceived goodwill and quality as a whole. These intangible qualities are sought after while buying even the most utilitarian product and here is where proper brand advertising plays a very important part. 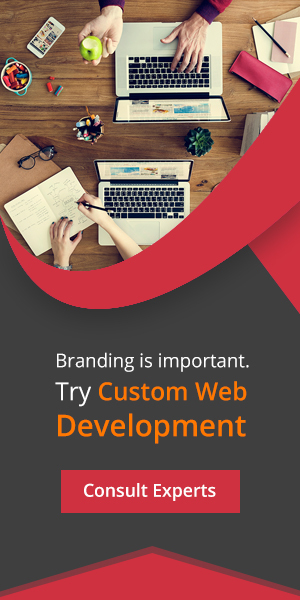 Choosing the right Website Development Company in India will help build a positive brand identity that will make your business stand out on account of sheer goodwill and will firmly draw the lines of differentiation between it and other competitors in its segment. 1. It gets easier to introduce new products within a brand name. – Your brand can introduce new products, the cause of its name and fame. – When your brand has a well to do an image, it can attract as many people it can through different products at any time. – A strong bond is what both the owner as well as the customer receives in this process. 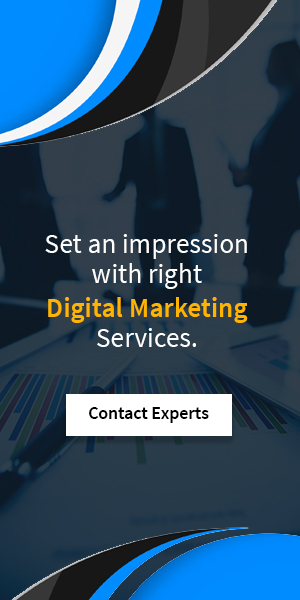 While sharing your brand with the help of Digital Marketing Services, the owner tends to interact with the crowd through different sources. 4. It helps in increasing the trust level of the customers. – With a recognizable and famous brand name, your customers tend to gain that amount of trust and would want to purchase the same every time they come across your brand. – Why would someone opt-in paying thousands of pound more for a branded product than a local one? They are virtually the same product at the end of the day, with exceptional options and accessories. Because a strong brand identity positions you in the minds of your customers. – “You get what you pay for”. This phrase talks it all. A brand will never let you down, that is the very reason why it is called a brand. 7. With a strong brand image, your customers recognize your brand. – A definite and known brand image is more likely to be remembered by the customers. That includes a strong brand name, logo/image. It is a deciding factor which determines sales of a product, that is important in terms of views and beliefs to a certain brand. The value and character of that particular brand are portrayed through the image. Regardless of your industry, you need a rock-solid brand to stand out among competitors and also capture customer’s attention. Brand image is everything in today’s time and it proves to be important to be able to improve the same. Given below are a few of those important points. Brand image is everything in today’s cutthroat business environment and 24/7 news and information cycle. Regardless of your industry, you need a rock-solid brand to stand out among competitors and capture customers’ attention. – The largest brand in the technology industry in terms of its revenue generated as well as its brand ranking. – Google has topped with its brand ranking, making it possible to organize all the information and provide it successfully to the provider with amazing speed. – A brand name that is popular in nearly every household worldwide. The brand has managed to create its image which defines belief and trust. – With quick and inexpensive food, this brand has continued to secure a dignified image in the eye of every consumer. A corporate brand is nothing but the public expression of an organization’s vision, strategy, aims, and statements. Public perceptions translate into market confidence and this ensures profits and greater goodwill in turn. Positive brand images are generated out of CSR activities, carefully tailored interactive events, seminars, forums, releases, websites, blogging, customer-centric strategies and of course, brand advertising. All of these components need to be blended perfectly together to create the most positive and appealing recipe for success!